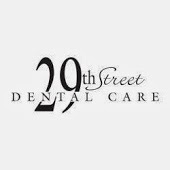 How Can I Go 29th Street Dental Care? Where is 29th Street Dental Care in Chickasha on the Map? I am a dental hygienist that does not work for Dr. Phillips; however, he is the only dentist that I trust to work on my teeth. He does beautiful cosmetic work of exceptional quality. All of the staff are wonderful and very professional. I feel that I am getting the absolute best care from this office. The office is exceptional, The doctors and staff are friendly and caring, they take the time to make you feel like they really care about you! Dr. Lee and Dr. Phillips have performed exceptionally and have a staff that are friendliest and kindest people I have ever met. They have gone above and beyond to make sure I felt like I was the only patient they had to do procedures on. Thank you so much. I have always been afraid of going to the dentist but Dr. Phillips and his staff made me comfortable and went out of their way to help me. The sedation dentistry has made it possible for me to have an amazing smile I never thought I would be able to have. I feel so blessed to have found 29th Street Dental. I would highly recommend them to anyone.